Android is dominating smartphone market. Now most high-end and mid-range mobiles are coming with Android. It is becoming best mobile operating system.There are thousands of free and paid applications and games in Android Market. Number of apps and games are increasing day by day. If you own an Android mobile then you can enjoy all those apps. But what if you don’t have one? No problem, without Android mobile you can still play and use those amazing apps. All you need to do is installing Android on your computer. At first it may sound strange as Android is mobile operating system and how can we run it on computers? There are some complicated ways to run Android in computer like installing Android Software Development Kit(SDK), but that process is not easy. You can ask me why should you run Android on pc? Ok, there are two reasons first if you are planning to buy Android mobile then you can test and enjoy Android before getting the mobile and the second reason is testing android applications. In my earlier tutorial I’ve shown you How To Create Android Application For Your Blog, you might not have an Android mobile but want to test the app, then this will be useful to you. Today I’m going to show you easiest way to run Android on your Windows computer. YouWave is the software you need to install. 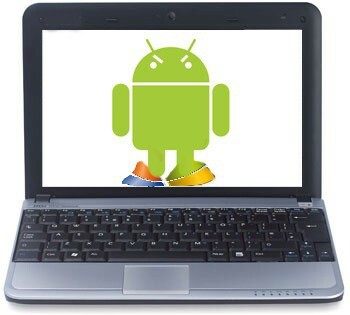 Using YouWave you can virtually run Android 2.2 Froyo on your pc. It allows you download and install apps and games on your pc. You will get full Android experience on your pc. Using this software you can do whatever you want except calling. It’s fast and easy to use. 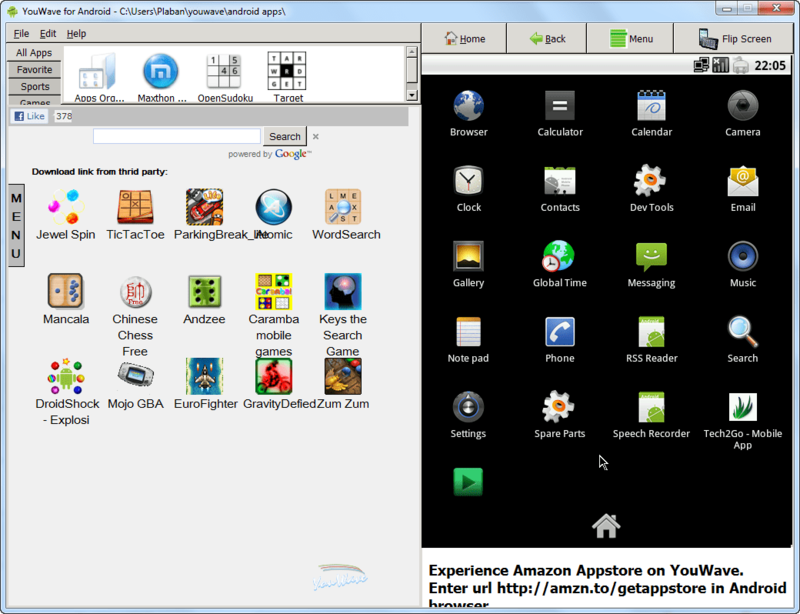 Androids apps can also be installed from .apk files or from Amazon Appstore. Don’t forget to share your experience here. Actually I was searching for this one but all the site was hvng same ans tht install android sdk and all but this one is too good. Yes, it’s really useful software to experience Android on computer. thank you very nice article.but the sad is that its 102 MB. looks like a good app bro… but y aint ninjump and wts app wrkin in it help……..